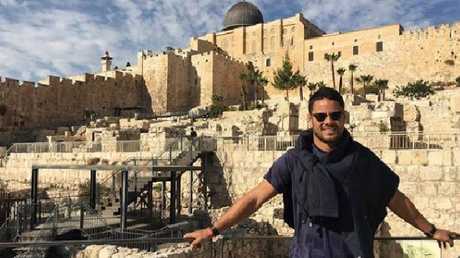 Jarryd Hayne has spent his off-season visiting Jerusalem. MOST NRL players spend their off-season sunning themselves on beaches of far-flung tropical destinations or letting their hair down in Las Vegas or New York. After his exit from Gold Coast Titans for a return to Parramatta Eels was confirmed, the 29-year-old has embarked on a religious pilgrimage to the holy city of Jerusalem. 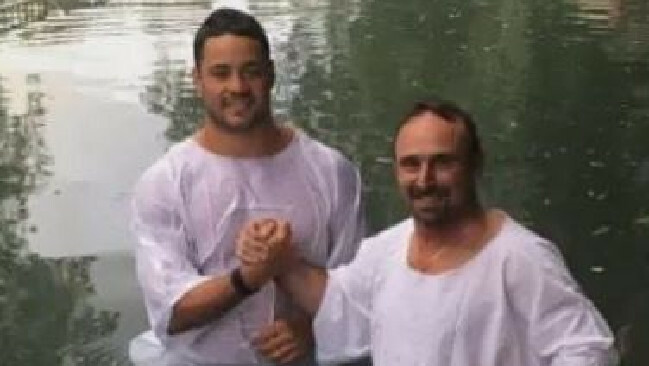 A photo shared online on Saturday shows Hayne, who is a Christian, being baptised in the Jordan River, the location of the baptism of Jesus Christ. 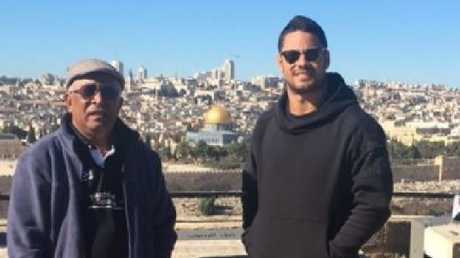 The NRL star's Instagram account also shows him visiting other religious sites including the Mount of Olives and Ophel. Hayne has had his critics after a career that has seen him go from the NRL to NFL, rugby sevens and back to the NRL, but credits his religion for helping him through tough times. Hayne taking in the sights of Jerusalem. 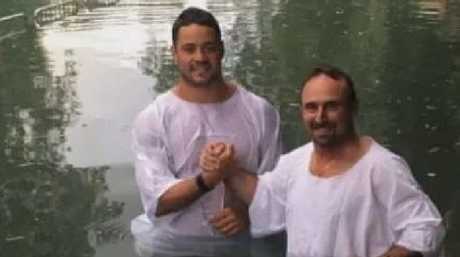 "When you read the Bible and realise everyone hated Jesus, you've got to put that in perspective as well and realise how much He stood up and was still Him," Hayne said during an interview in 2016. 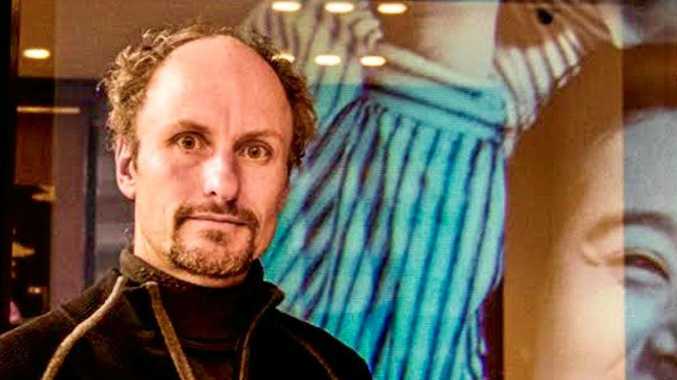 "For Him to make the ultimate sacrifice for all of us, you've got to pull your head in when you're worrying about a piece of paper or an article. Little things like that get me on-focus." "I read the Bible a lot and I read a lot of history and stuff like that. In America, it's a huge thing to let the haters motivate you. I don't want that," he said. Hayne at the Mount of Olives.